🌷🌷Pleasant words are as an honeycomb, sweet to the soul, and health to the bones. Many people, really don't realize that words have power, and it can shape your future. 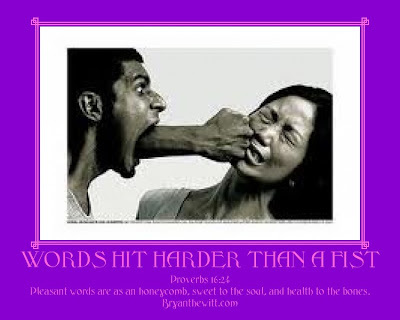 The Bible says, Life and death is in the power of the tongue. Are you speaking life over yourself and/or families lives?